Sir Bob Geldof is a true British icon for his work in the music industry but also his contribution to charitable causes around the world. 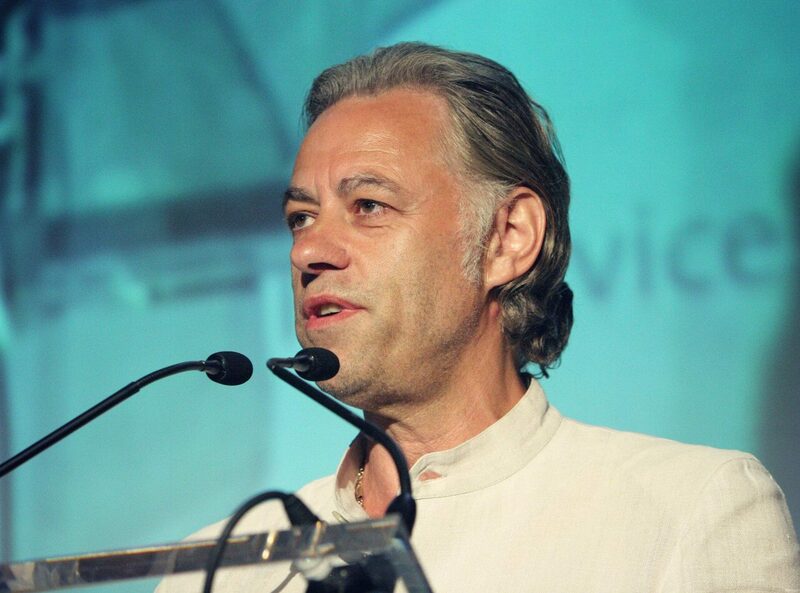 It means the frontman for The BoomTown Rats; Creator of Live Aid and Live 8 is one of the most in demand speakers on the circuit and is someone whose presence is a real boon to any event, conference, occasion or charity function. As a musician he is best known for his band, The Boomtown Rats, which had huge success in the 70s and with singles like ‘I Don’t Like Mondays.’ The name of the song comes from the fact it was given as an answer by a schoolgirl in San Diego when she was asked why she had killed her classmates. It was a documentary about poverty and famine on the BBC that inspired Geldof to get involved with Live Aid, the concert that was organised to raise money for the poorest in Africa. Eventually, two marathon shows were held at the same time in July 1985. The first was at Wembley Stadium in London and the second was at JFK Stadium in Philadelphia. The events raised millions of pounds for charity and are still spoken about as some of the greatest live shows ever. After leaving his band, Geldof has enjoyed a solo career and his charity work has been recognised throughout the world, and as a result, he has been nominated several times for the Nobel Peace Prize and received a knighthood.